Curse your sudden but inevitable betrayal! | Spaceship! Spaceship! Spaceship! It’s Febrovery, which means Flickr is crammed with photos of really amazing, imaginative space rovers of one kind or another. However this blog’s singular focus on spaceships means we have to skip over them, but I am going to allow this model by ledamu12 through on the basis that it flies, so it’s at least kind of a spaceship. Maybe. 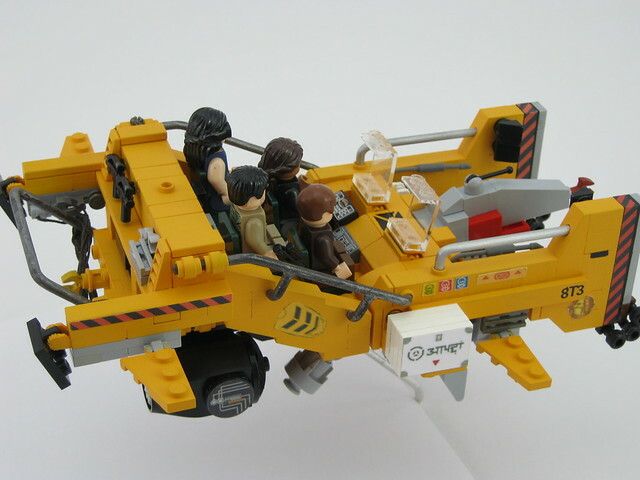 This is the Mule vehicle from the Firefly movie Serenity, and it’s a really amazingly accurate model built at quite a small, minifig scale. Unusually, and perhaps controversially, the builder has made use of non-LEGO pieces, with wire employed to make handrails and he’s painted it as well as added all sorts of custom stickers. 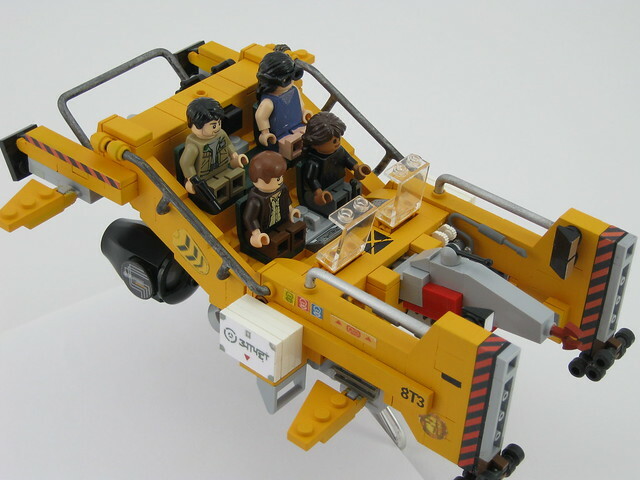 This entry was tagged customisation, firefly, maybe not a spaceship, minifig scale, MOC. Bookmark the permalink.